INCLUDES: 40 adhesive round stickers. 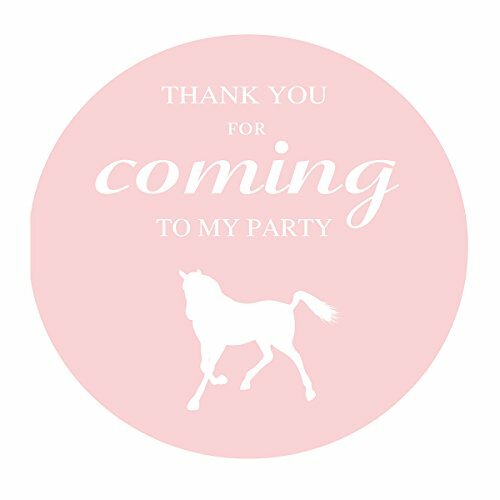 The pink and white horse thank you stickers are perfect for girl birthday party favors decorations, supplies. Size: 2 inch round. You can use it to popcorn bags, favors, envelopes, etc. If you have any questions about this product by MAGJUCHE, contact us by completing and submitting the form below. If you are looking for a specif part number, please include it with your message.